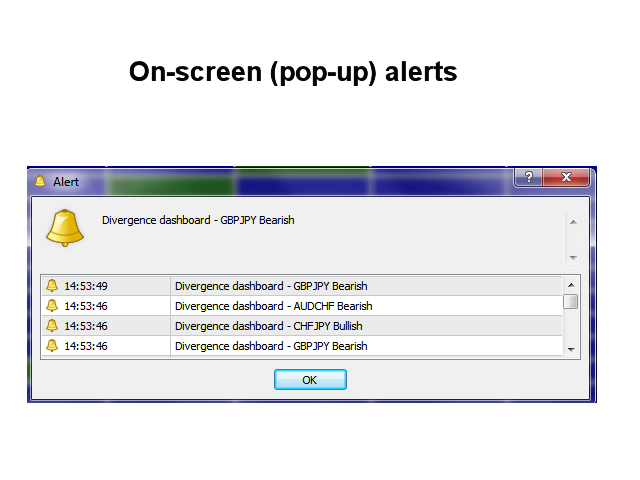 This multi time frame and multi symbol divergence dashboard indicator sends an alert when one or two different divergences have been identified on several time frames. It can be used with all time frames from M5 to MN. 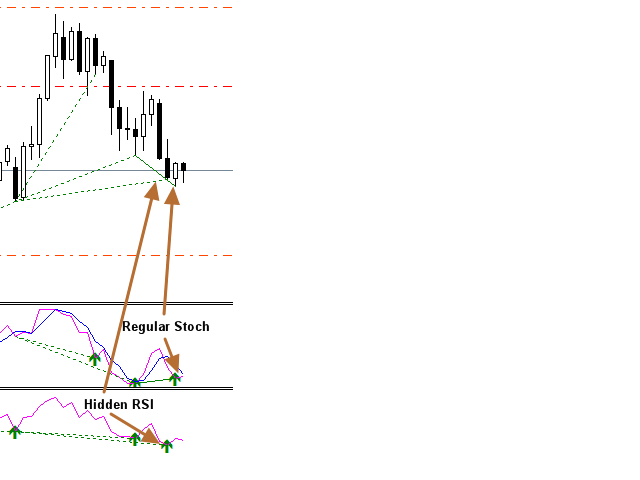 It is possible to enable moving average or RSI trend filter to filter out only the strongest setups. Can detect divergences for following oscillators: MACD, Stochastics, OsMA, RSI, CCI and Awesome. It is possible to select the time frames to be visible in the dashboard. Continuously performs a divergence rank sorting within the dashboard. It is possible to disable this sorting though to make it easier finding a specific symbol. The symbols will then be visible in the same order as they have been entered in the Symbols parameter or in the order they are visible in the Market Watch window. By clicking inside a rectangle a new chart will be opened with the symbol and time frame in question. It is enough to place the indicator on one chart and you will receive an alert from any symbol of your choice. Both regular/classical (trend reversal) and hidden (trend continuation) divergences will be taken into consideration. Hence there could be a regular divergence and at the same time a hidden divergence on another time frame. Please see screenshot #3 below. 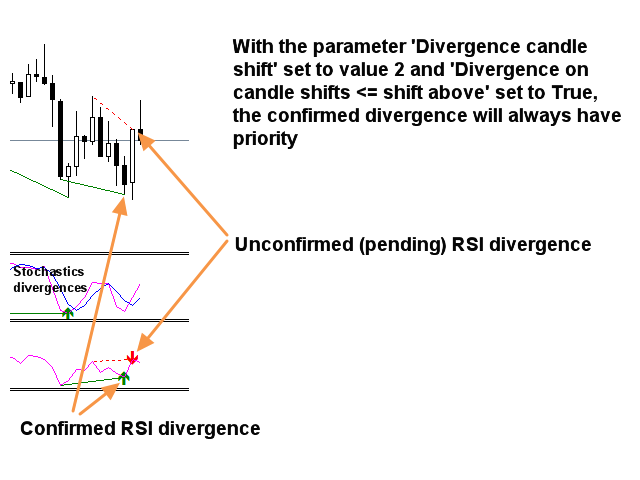 The example is showing divergences from 2 indicators but it could also be from one and the same indicator. It is possible though to set if to use only regular or only hidden divergences by changing a parameter. Please note that this indicator is not supported in the strategy tester. It will also not draw lines and arrows or sell and buy advice on any chart. I recommend putting the indicator on a M5 chart. A clean chart without any other indicators or Expert Advisors on it.